Well, it’s that time of year again! And what a year it’s been…!? There have been lots of changes here at ‘Star Command’ over the last 12 months or so, but the ol’ Blog has remained a constant and steady companion! 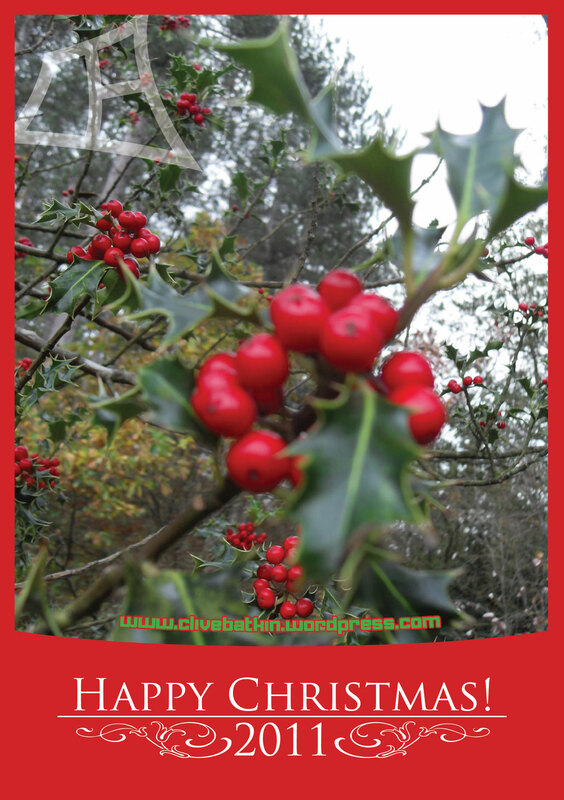 As always, thanks to all who have written in and commented – a very Happy Christmas and Happy New year to you all out there and let’s see what 2012 brings? 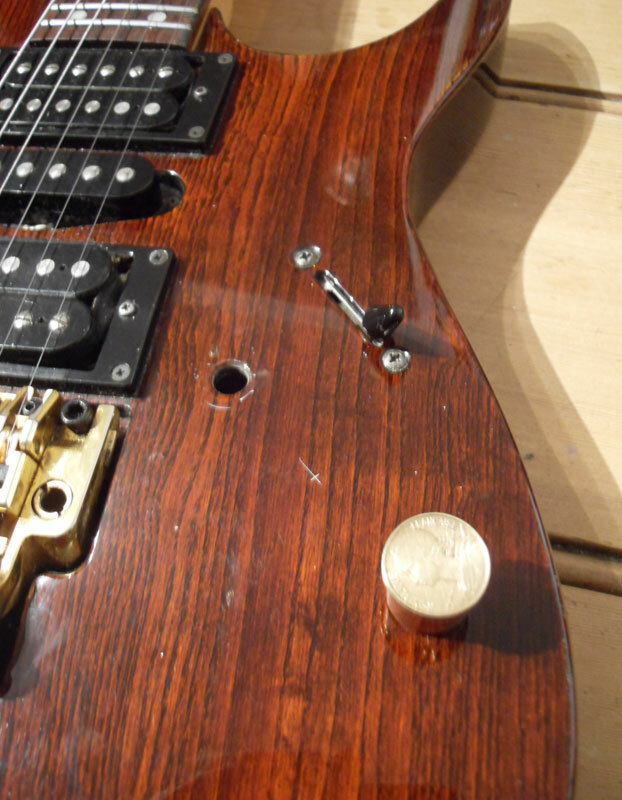 Some time back I lost one of the knurled knobs from my trusty old Ibanez electric guitar…. 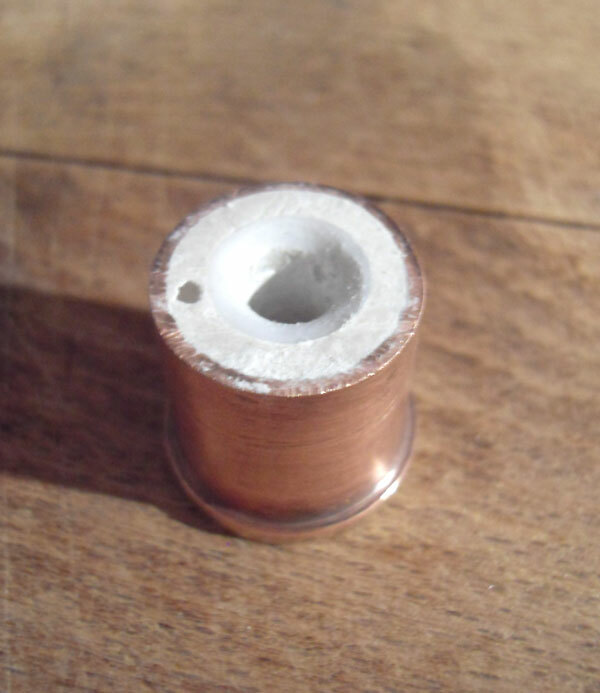 having failed to find a replacement anywhere, I though I’d have a go at making a new one from copper and brass – it wouldn’t look the same of course but would hopefully echo the brassy look of the rest of the fittings on the guitar, and also complement some of the other stuff I have made in and around my music equipment (like my copper guitar hanger, etc). 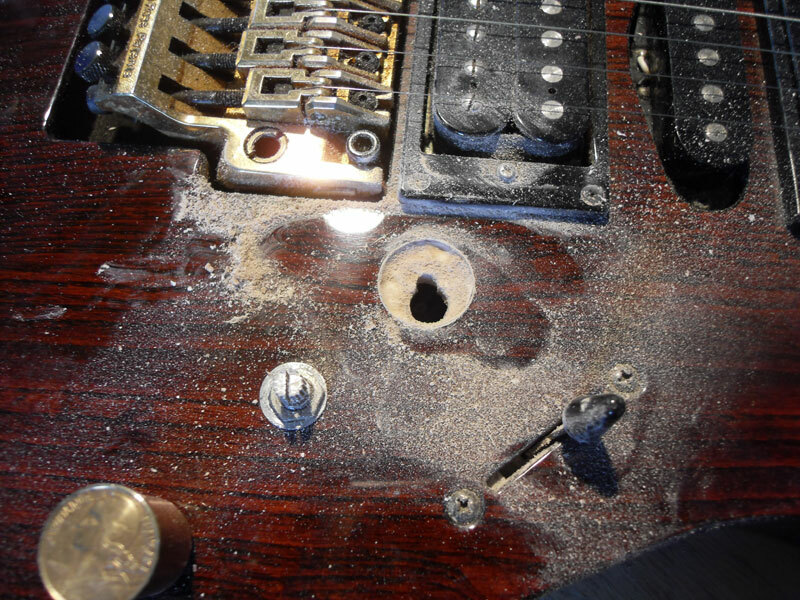 So, here are a series of photos showing what I did and how. 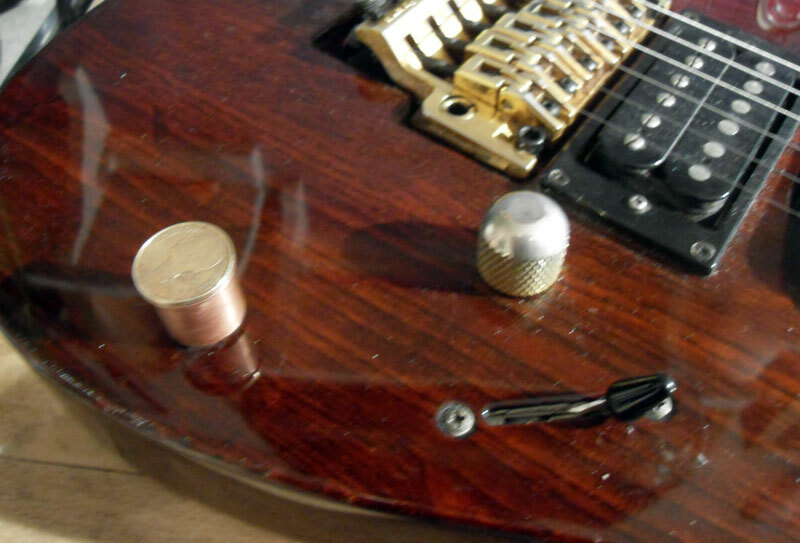 . .
One thing I’ve never been that happy with on my guitar is how close the volume knob is to the bridge of the guitar (in the above photo, this is the distance between the upper knurled knob and the brassy bridge/black pick up). 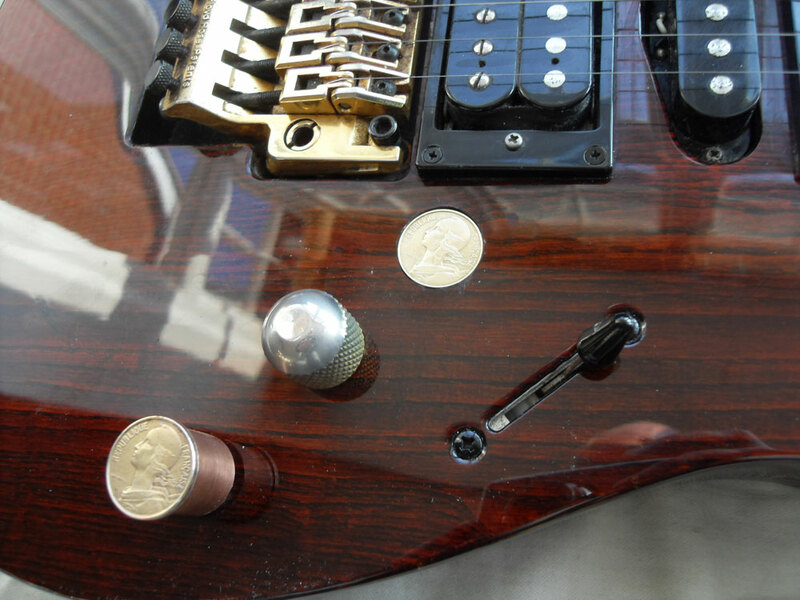 I therefore wondered if, having done all this work, it was now the time to bite the bullet and try moving it… I had a spare 10 franc coin left over, and through that this might make a nie ‘blank’ to fill in the hole that would be left by removing/moving the original volume knob. 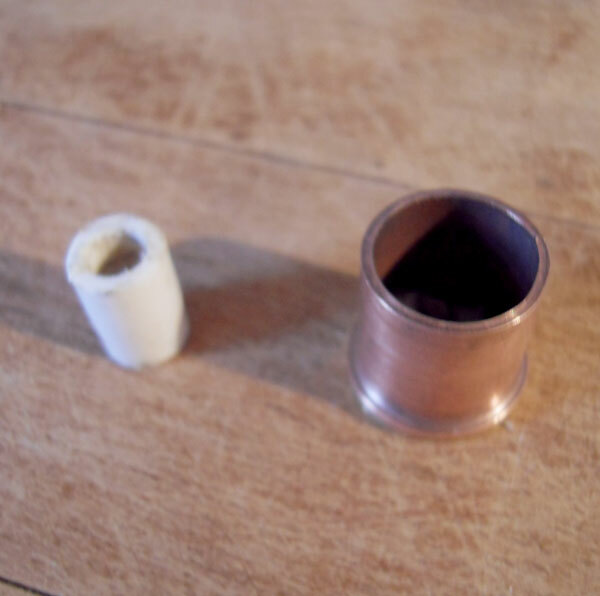 To fill in the original hole, I superglued the 10 franc coin in place over it (just to act as a temporary guide) and scored around the rim with a scalpel to mark the position and prevent the lacquer from cracking when routed out. 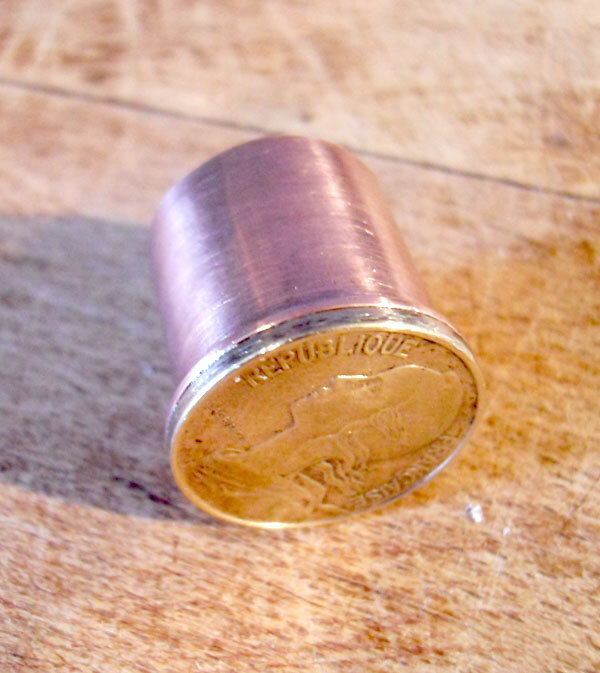 Then using a small routing bit with my trusty Dremel tool, I proceeded to rout out a hole of the right depth and diameter to accommodate the coin. 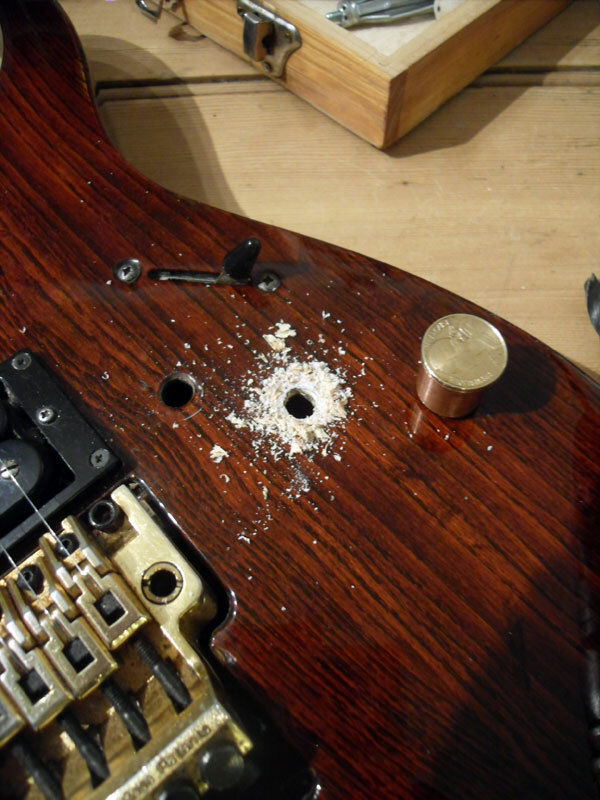 After a few tries, it was just about right – the shot below shows this work in progress, as well as the volume pot screwed in place in it’s new location (minus knob) . 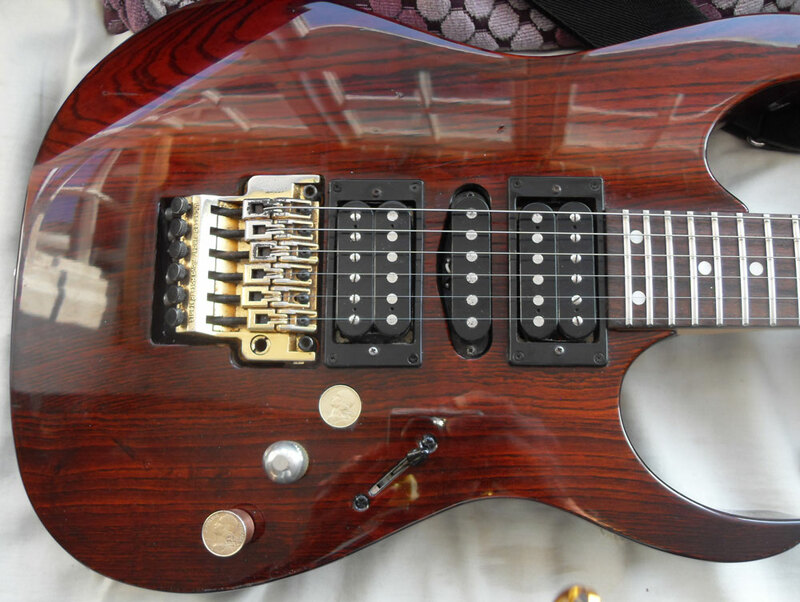 It’s not perfect, but is now much easier to play, and always gets some interested comments when people see it. 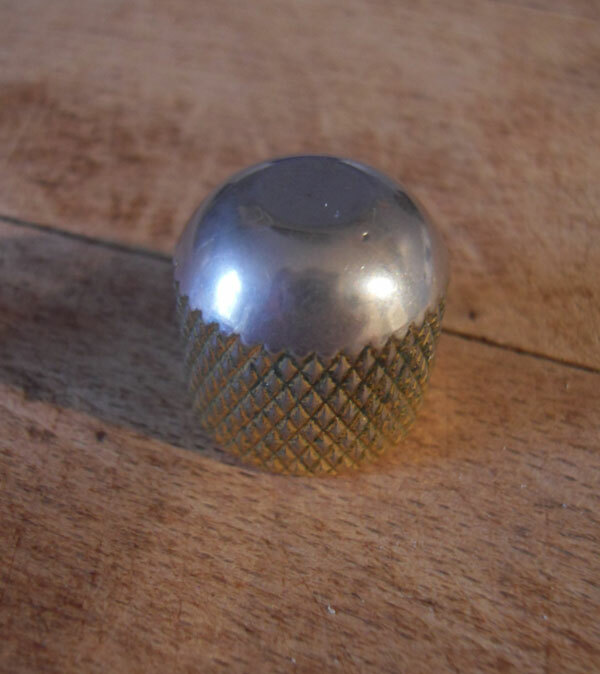 Having lived with it for a while I think I will certainly make another new knob to replace the old knurled one – they work ok together visually but would be much nicer as a coordinated suite I think! 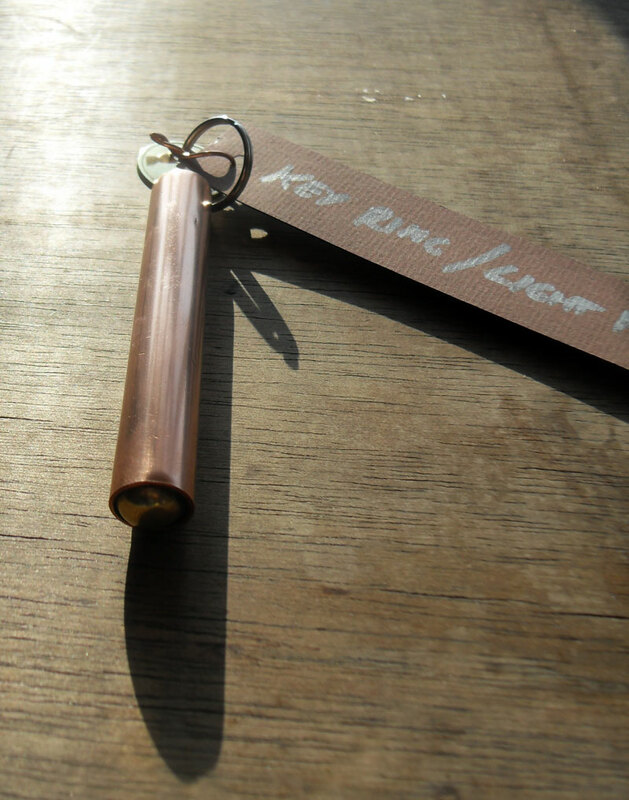 Prototype of coppery things to come. 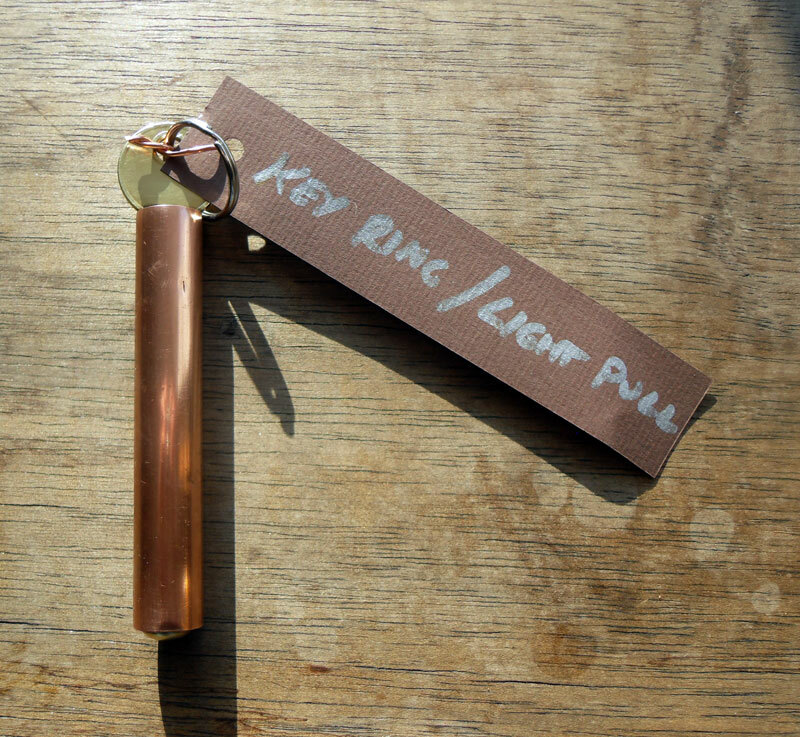 . .
Here’s a couple of shots of my latest set of creations – a series of keyrings or light pulls (depending on the size and weight of them) made in a copper/brass steampunk styling. Here is a rather poor, and indeed confusing, shot of several of the ‘work in progress’ ones I am making at the moment, as well as the rather rustic display pole I have been working on to both store and show them off.